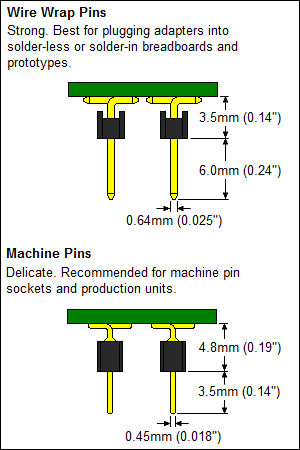 DIP Pin Type: Wire Wrap Pins (0.64 mm square) What's this? USB - A adapter board. Top side connector: Tyco Electronics 292303-1. This adapter comes fully assembled with connector and pins as shown. PCB Dimensions: 17.78mm x 17.78mm x 1.6mm. PCB construction: FR-4 UL94V-0. PCB operating temperature range (without connector): -40C to +130C. PCB reflow maximum temperature: +260C. 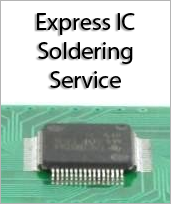 PCB Assembly standard: IPC-A-610 Class II.